It doesn't take an avid social media user to notice all of the hype for Coachella, the annual all-star musical festival. This year's lineup includes performances from Janelle Monáe, Khalid, Kid Cudi, Anderson .Paak, Kacey Musgraves and a host of other artists. Though this year's Coachella will not be blessed with an extravagant performance from Beyoncé, it will have some awesome headliners. Childish Gambino, Tame Impala and Ariana Grande will headline six nights of performances in total. Grande will have the main headlining set, as she is set to close out the festival's last day on April 21. 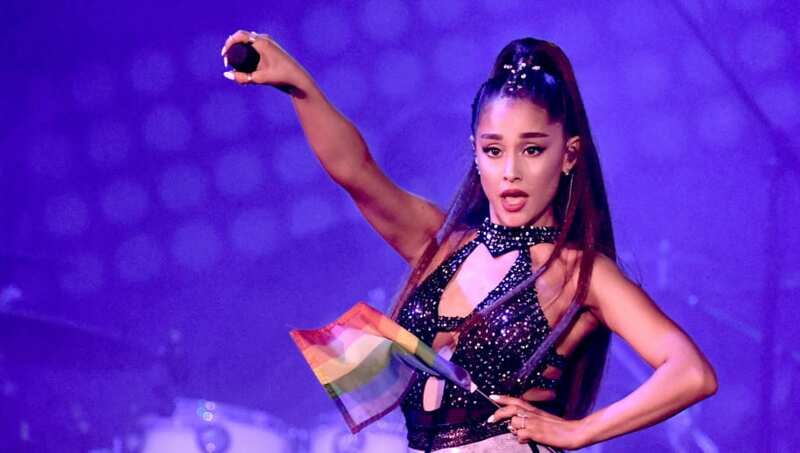 The "7 Rings" singer recently teased her highly-anticipated performance on Twitter. Ariana, who will be the youngest female artist to headline Coachella and just the fourth woman to ever headline the event, tweeted a 12-second teaser video thanking her fans and officially announcing her return to the festival. Edited to look like a VHS highlight reel, the video combines clips of Ari’s glistening stage lights with shots of her singing, with her song "Fake Smile" playing in the background. “hi. 10 shows down. thank u. love u. see you soon Coachella," the video text reads. Understandably, Arianators are excited for Grande's performance, as they've dubbed the festival "Arichella." Ariana will be headlining Coachella on April 14 and 21. What a way to spend a Sunday night!